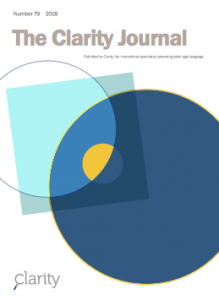 International Plain Language Standards—Next Step is Australia Standards Application – Susan Kleimann, Ph.D.
Annetta Cheek, Chair of the Federation and former Chair of the Center, reviewed the history of the effort for international plain language standards. Christopher Balmford, Chair of the Standards Committee from Australia, discussed the recent work of the Standards Committee and the importance of their applying across languages. Susan Kleimann, Standards Committee member and former Chair of the Center, described the current proposed structure of the Standards. Rosa Margarita Galán Vélez, Standards Committee member from Mexico, emphasized the cross-language challenges and considerations. 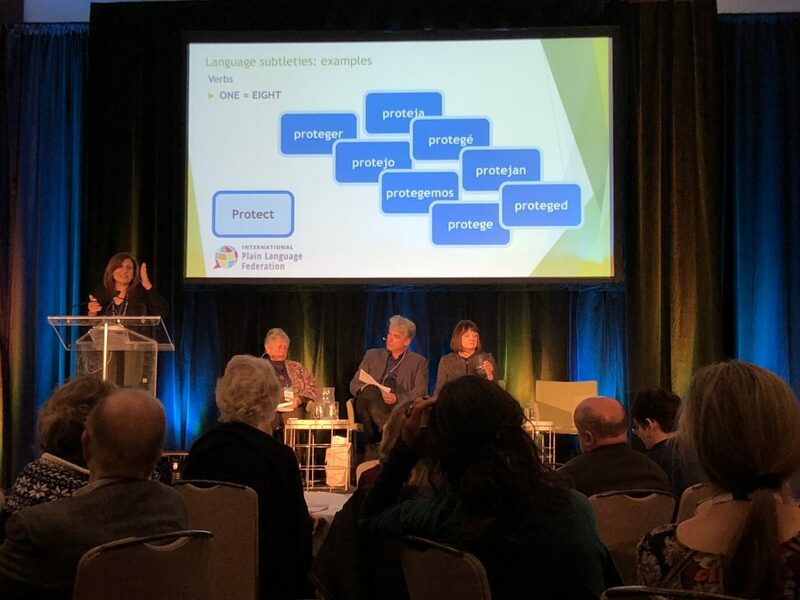 At the end of the presentation, attendees overwhelmingly supported the Federation’s efforts to move forward on developing international plain language standards.